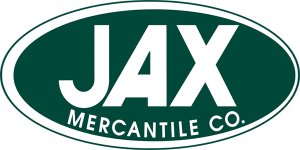 Jax Outdoor Gear offers an excellent selection of outdoor clothing and footwear for the whole family—at great prices you will love. This is the place for Marmot clothes and gear in Ames, Iowa. Designed for the great outdoors, but they look good in town, too. Shop the latest styles from Columbia, Royal Robbins and North Face. Women’s dresses from Kavu, Toad & Co. and Kuhl are both casual and stylish. Got kids? There are plenty of shorts, shirts and shoes for the young ones, too. You’re living big in the great outdoors when you start at Jax. Open Monday-Friday 9 a.m. to 8 p.m.; Saturday 9 a.m. to 6 p.m.; Sunday 10 a.m. to 6 p.m.